Ready for another skinny recipe? Good. 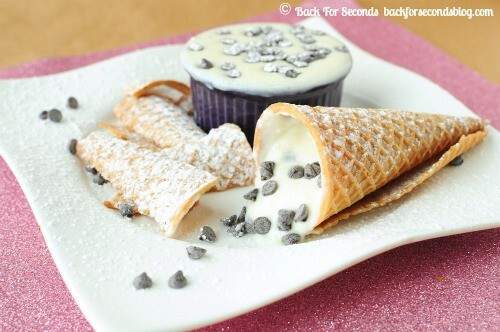 Can I just say, every time I thought about this dip, I was thinking of calling it “Holy Cannoli Skinny Dip”. When I was in the kitchen my husband asked what I was making and I was being silly and said, “I’m skinny dipping!” Ha ha. Oh, by the way, I’m hilarious. He was a little confused for some reason. Huh. Anyway, this dip tastes just like the filling of a cannoli. 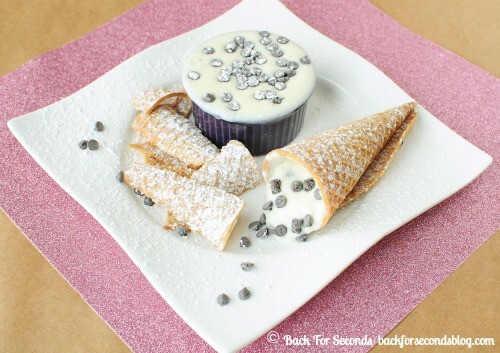 (And you can eat it while fully clothed…) It is not quite as thick as traditional cannoli cream, but that won’t matter once you take a bite! 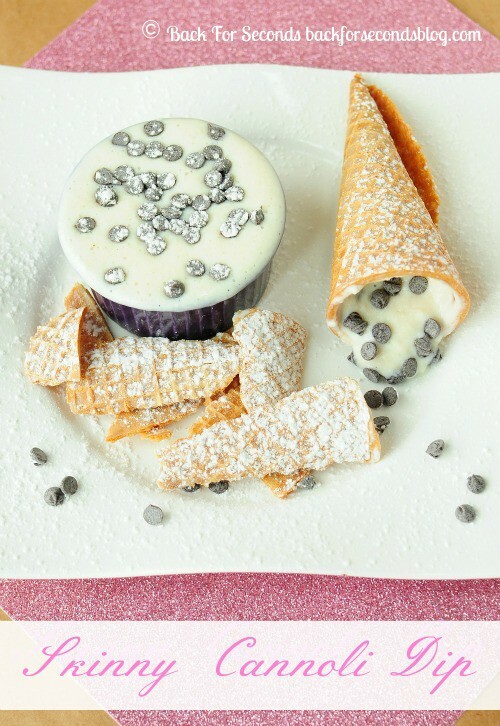 I used waffle cones as dippers to mimic the cannoli shell, but apples and pears would taste amazing with this dip too (and they would be a bit healthier)! I hope you are loving all these skinny recipes! It has been really fun for me to create fast and easy meals, snacks and desserts that are diet friendly too! Who knew skinny could be so creamy, dreamy, deicious? Check out my sidebar for more of my skinny recipes and follow Back for Seconds here so you don’t miss a post! 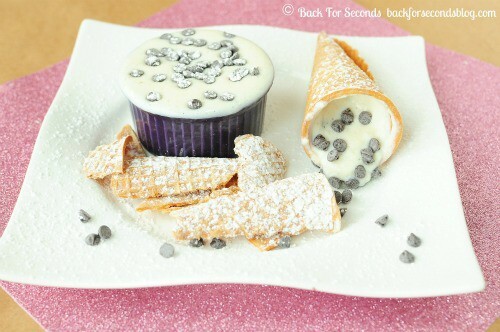 I cannot wait to try this, the stores have recently started selling Cannoli chips, so I will be trying this one for sure! I love this one and wil try it with some fruit.